This is a convenient add-on paddle and storage hook for your Suspenz rack. 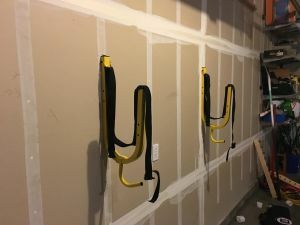 This is a universal hook that simply slides right onto your rack's arm, so installation is super simple because no tools are required! This Paddle and Storage Hook is a great way to expand the capability of your rack and helps transform it into an all-in-one storage solution for your gear. 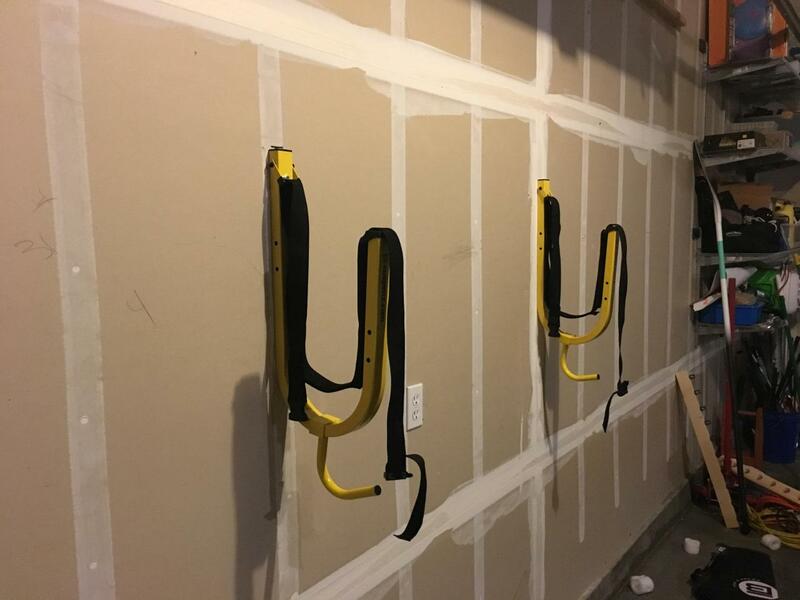 Just like your Suspenz rack, this universal hook is powder coated in yellow. This product has a one year warranty from the manufacturer. Is this sold as a pair or individually? These paddle hooks are sold as a set of two (a pair). Please note, they are for paddles or other such gear only, and are an optional add-on to one of the SUP rack systems listed above with links. 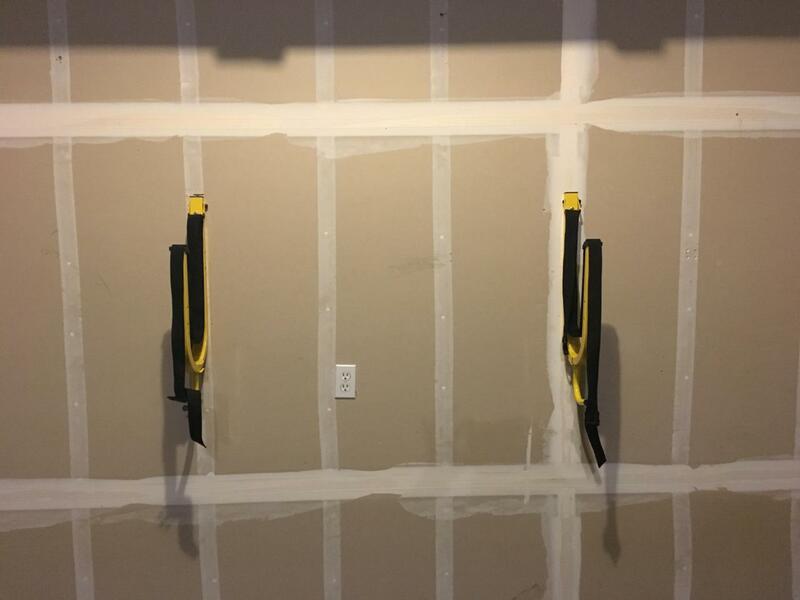 If you have one of those SUP racks, or are considering purchasing one, these hooks will give you that extra storage space for your paddle or PFDs. 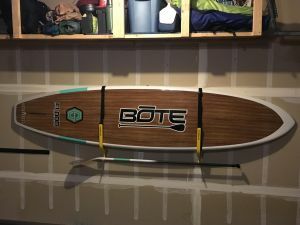 This Suspenz SUP hanger is just what I was looking for to keep my solid board safe and easy to use. 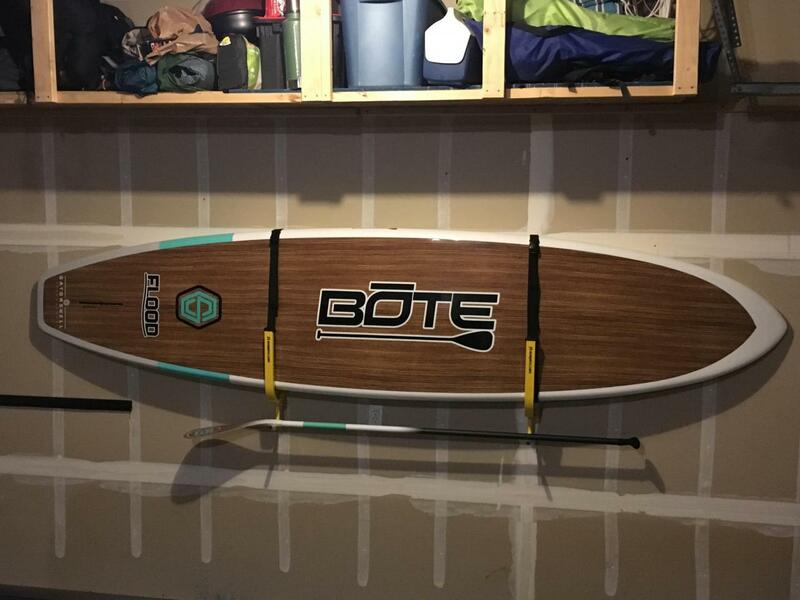 It was simple to hang in my garage and is very easy for me to place my board on it after every use. I bought the paddle storage attachment too which keeps it off the floor so it can't fall and get scratched. Great product, very strong! these are not "mounted" to the Suspenz but just slip on. And just as easily as they slip on, they slip off. When you put two paddles on them the weight of the paddles causes them to slid up and off. They are nicely intended but poorly designed. 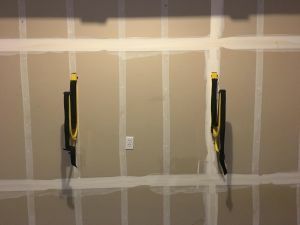 Its smarter to just tighten the straps so the boards sit higher in the racks and use the bottom of the rack as a paddle holder. Anyone want to buy a pair for cheap?